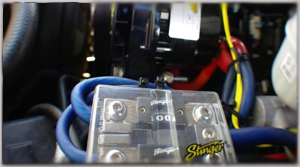 Car audio accessories are the heart and veins that produce and carry precious watts to your car audio installation. If you want your system to run properly, and at it's maximum possible potential, you must have the correct accessories. Without the proper amplifier wiring kit your amplifier may not perform to its maximum potential. Lights dimming? Grab a capacitor if you want to protect your system, we stock fused distribution blocks for any system. You will find a wide selection of accessories in the section below.